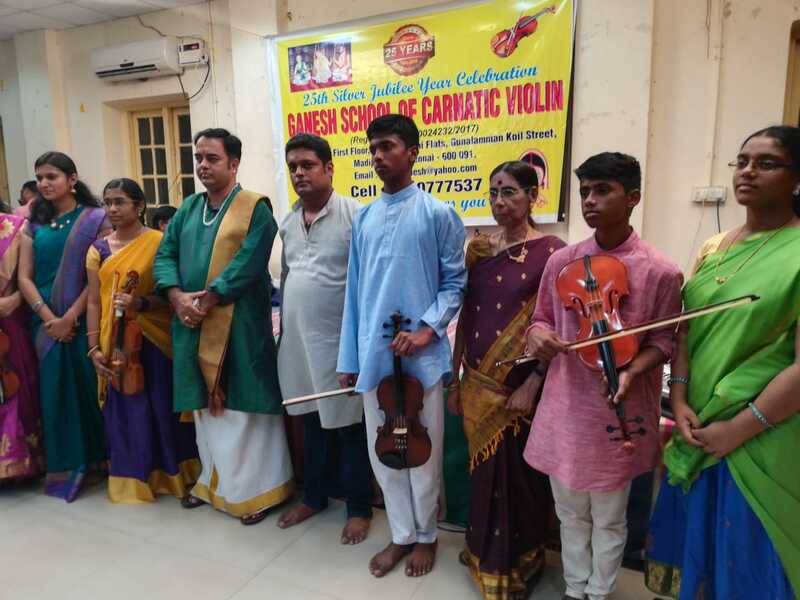 Ganesh school of Carnatic violin (GSCV, Plot No.10A, 2/1006A F5, Ist floor, vijayalakshmi Flats, Gunalamman Koil Stree, Madipakkam) have celebrated its 25th year silver jubilee & Navratri Celebrations at Srinivasa Sastry Hall, Luz Church Road, Mylapore. More than 40 students have played violin. The programme was chaired by, Chief Guest Dr.B Umashankar world renowned Carnatic vocalist, music teacher, composer, music director, publisher and a research scholar. He is a founder of Gaana surabhi Music Academy. He is conferred with many titles including “Aasthana Vidwan” of Sri Kanchi kamakoti peetam, Gaana Kala sironmami, Baala Rathna, Gaana Varshaa, Sangeetha Guru sironmami, Sangeetha bhakthi pracharakaa, Isai Thendral, Naadha kalanidhi, Sangeetha vidwath sironmami, etc. Guest of Honor Isai Vani, Isai Gnana Bharathi Smt.Rajarejeswari, vidhushi, Music composer, Choir conductor, Founder-kamala Music School. 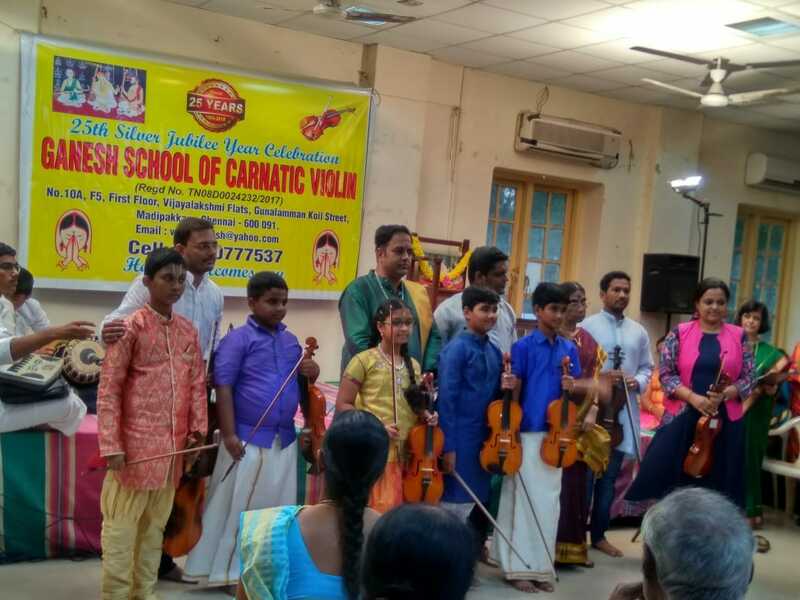 GSCV, established in the year 2016 in Chennai, and offers coaching for Carnatic violin, diploma and degree exams in Indian music violin. The founder of GSCV Is a performer of great music festivals in Chennai and all over India for past 10years. He is taking online Music classes for the students from USA, London, Canada, Germany, France, china, south Africa, Singapore. Well versed in INDIA. He is a regular performer in Park Sheraton, All India Radio, VGP Group, Also coordinating with Dance teachers for the arangetrams, giving solo performances in lot of places.